Bishop Simon Bruté College Seminary in Indianapolis will hold its fifth annual Bishop Bruté Days on June 16-19 at the Indiana Future Farmers of America Center just outside Trafalgar in Johnson County. 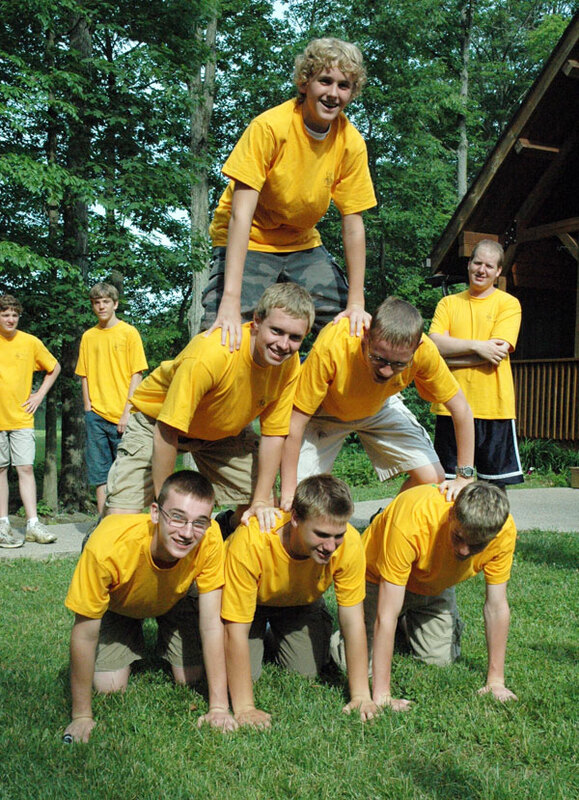 The retreat and camping experience is for junior high and high school-aged boys who are open to the possibility that God might be calling them to the priesthood. The schedule for Bishop Bruté Days includes sports and other outdoor activities in addition to Mass, eucharistic adoration, praying the rosary, opportunities for confession and spiritual conferences. Father Robeson has facts to back up his hope. Three of the four young men from the archdiocese who are expected to begin their freshman year at Bishop Bruté in August were previous participants in Bishop Bruté Days. At the same time, Father Robeson recognizes that a large number of the several dozen boys who have participated in the vocations camp in the past will discern a different vocation in life. But he knows that Bishop Bruté Days will benefit them, too. It introduces them to many forms of prayer. Bishop Bruté Days has attracted participants from more than 20 archdiocesan parishes as well as parishes in the Lafayette Diocese, Ohio and Illinois. Father Robeson shared the story of a mother who sent her high school-age son to the vocations camp to show him how participants learn about the faith at the vocations camp. “She was driving her son and some of his friends to a basketball practice, and one of the kids was asking something about the Church,” Father Robeson said, “and her son went into this long and complex and accurate answer to the question the kid had asked. Underlying these advantages of the vocations camp, Father Robeson said, is the way in which it shows the participants that prayer and having a love for the faith is something for everyone. The cost for Bishop Bruté Days is $60. Seminarians from Bishop Bruté College Seminary and other adult chaperones will help oversee the vocations camp. Several archdiocesan priests will also be present at the vocations camp.